How myofunctional therapy could help repair your brain-gut axis? This past week I had the pleasure of sitting down with Sarah Hornsby, a myofunctional therapist who helps patients all over the world with dysfunctional mouth and swallowing issues. Our goal was to shed some light on how myofunctional issues such as mouth breathing (even at night), dysfunctional swallowing patterns and improper tongue positioning could be exacerbating or even be the root of your GI issues. In the SIBO world, the brain-gut axis is almost always disturbed. MMC deficiency and weak vagus nerve function results disturbed motility, poor blood flow/nutrients to the gut, digestive enzyme deficiency and intestinal permeability (leaky gut). This dysfunction results in SIBO. If this brain-gut issue is not resolved, then relapse is eminent after antibiotic treatment. 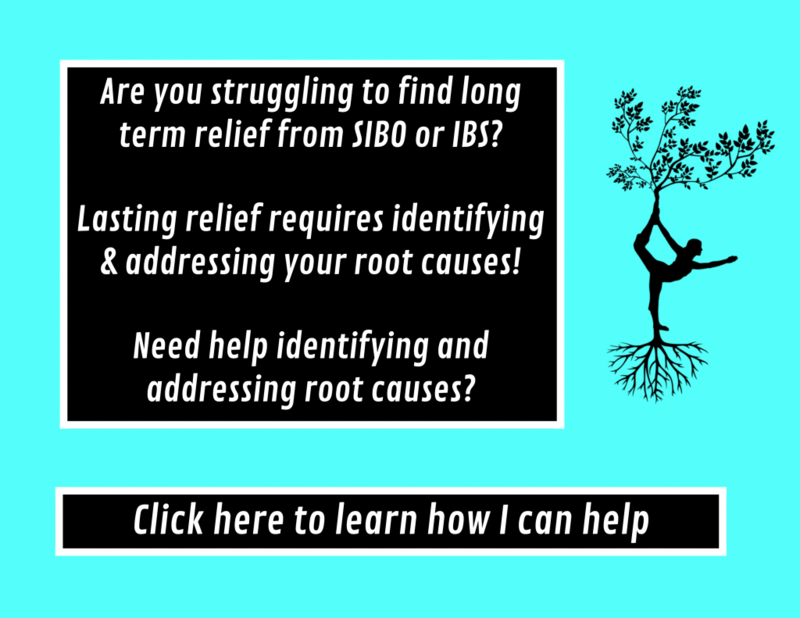 Failing to address the brain-gut axis is why SIBO is often referred to as a “relapse condition”. But, it doesn’t have to be! Repairing the breakdowns in the brain-gut axis will corrects the root of the problem and will prevent relapse. While rarely discussed, myofunctional issues can be a potential root cause for poor vagus nerve functioning and brain-gut axis issues. Therefore, it can be a root cause for SIBO. I haven’t seen these myofunctional issues discussed in the gut health world, but they could be crucial pieces to the puzzle for certain cases of SIBO. What is myofunctional therapy? And what are the goals? Myofunctional therapy is an exercised based treatment that involves fixing dysfunction in the mouth (tongue placement, breathing, chewing) and swallowing. What GI symptoms does she see in her patients? Sarah explains that GI symptoms usually come hand and hand with myofunctional issues. Many people with myofunctional issues have GI complaints purely from swallowing too much air throughout the day due to improper breathing, chewing and swallowing. Sarah explains that she sees an overlap between food sensitivities and myofunctional issues. How a functional swallowing pattern will stimulate the vagus and promote proper digestion? Peristalsis starts in the esophagus when we swallow and travels through the whole GI tract. Proper swallowing primes digestive function. If you are swallowing with a tongue thrust swallowing pattern (reverse swallow) your tongue actually is pushing the wrong way, which fails to trigger optimal motility. This dysfunctional swallowing pattern results in muscle function that is not as effective as it should be. A functional swallowing pattern stimulates your vagus nerve, which activates the parasympathetic nervous system. Proper swallowing sends an important message to your body that it is time to rest and digest. If you aren’t swallowing correctly, your GI tract is not going to be ready to digest. Tongue ties can also lead to suboptimal tongue position and swallowing. People with tongue ties usually have double or triple whammies when it comes to health issue since it is linked to mutations in the MTHFR gene. What symptoms improve with myofunctional therapy? Myofunctional therapy also could have impacts on your GI microbiome since it can promote improvements in your oral microbiome. What is nitric oxide and what are its benefits? What are the benefits of nasal breathing? Nitric oxide is a critically important health promoting molecule that is produced every we breath through our nose. The nitric oxide produced from nasal breathing is then flushed through your body. When you mouth breath, you don’t produce this critically important molecule. Mouth breathing stimulates our emergency/fight or flight response and produces shallow breathing. Nasal breathing stimulates the rest and digest (parasympathetic response) that promotes deeper breathing. That about wraps it up! You can learn more about myofunctional therapy by going to Sarah’s website. Also, you can check out her awesome YouTube and instagram pages! I will also be answering Sarah’s questions about the gut in about a week, so stay tuned for that interview! Next Next post: I was interviewed and we talked all about SIBO! !